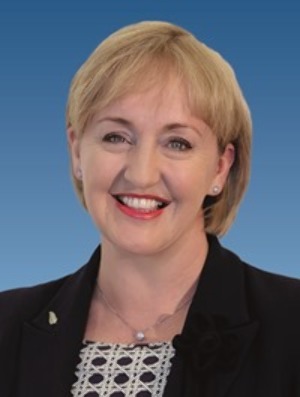 Selwyn MP Amy Adams, who is National’s finance spokesperson, owns eight properties. Scapegoating property investors is a popular game for politicians these days – yet well over half the MPs in parliament are multiple property owners themselves. Of the 120 MPs in parliament, 71 own or have interests in two or more properties, according to the 2018 register of MP’s pecuniary interests which has just been released. This figure is actually down slightly on the last Parliament in which 81 MPs qualified as multiple property owners. Given the change in government that’s not much of a surprise and nor is the fact that a bit of a split along political lines is also evident. While more National Party MPs (42) are multiple property owners, 28 Labour Party MPs own, or have interests in, two or more properties. Five NZ First MPs own, or have interests in, two or more properties while just one Green Party MP – Eugenie Sage – does. Sage owns three properties. The MPs with the biggest property portfolios are all – bar one – National Party MPs. The exception is Labour List MP Raymond Huo. He owns just one property outright and that’s his family home. But he is a shareholder of a company which owns nine rental properties. Selwyn MP Amy Adams, who is National’s finance spokesperson, owns eight properties. They include three residential properties, two commercial properties, a farm property and two sections of bare land. East Coast MP Anne Tolley owns four residential properties and four shops – although it is unclear whether the shops are individual properties or part of one commercial block. National list MP Parmjeet Parmar owns seven properties. They include five residential properties, one split commercial & residential property, and another commercial property. National MPs Gerry Brownlee (Ilam), Nicky Wagner (List) and Barbara Kuriger (Taranaki-King Country) all own, or have interests in, six properties. A further four National MPs own, or have interests in, five properties while National Party leader Simon Bridges owns four properties (three residential, one commercial). Of the non-National Party multiple property owning MPs, after Huo it’s…….